Paris (AFP) - Known as the Hell of the North, and widely regarded as cycling's toughest one-day race, the Paris-Roubaix will be hotly contested on Sunday with Slovak superstar Peter Sagan heading a trio of former champions in contention. 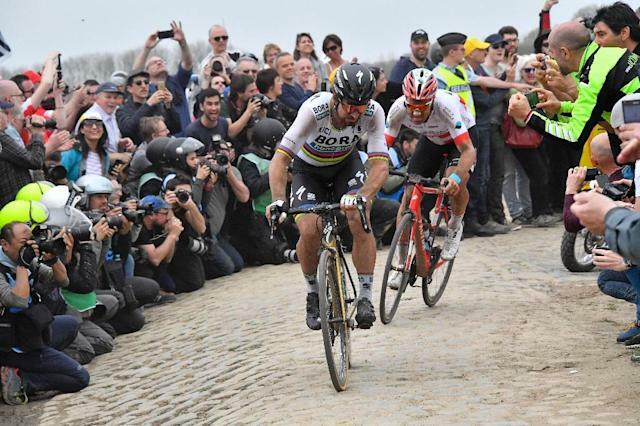 Mud, dust, treacherous patches of moss and 54 kilometres of roughly cobbled former mining roads mark out the 'Queen of the classics' as a treacherous day's riding meaning a quarter of the riders will never make it to the iconic Roubaix Velodrome finish line. 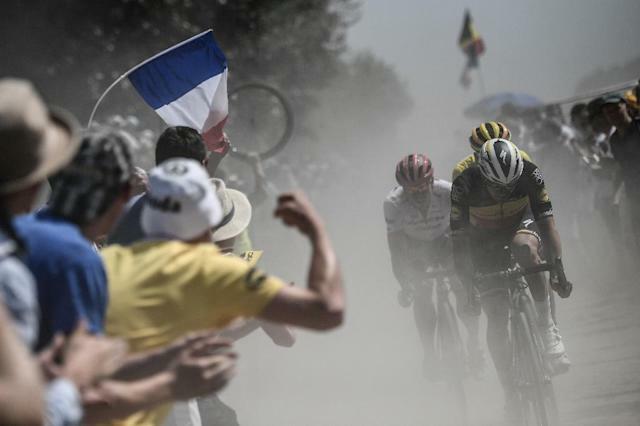 Tour de France champion Geraint Thomas, who declined an invitation this year having fallen early in 2018, told AFP some sections of the old mining roads "look like a pile of stones someone threw off the back of a van". Despite illness and a heavy fall in spring preparation, defending champion Sagan has been in the mix for several one-day races this season. He remains capable of repeating the type of sensational long-distance attack that brought him glory in 2018. Some dislike his nonchalant style, but Sagan is also just the type of blood-and-guts 'puncher' who can remain calm on the body-battering cobbled sections, such as the storied Arenberg Forest, and pounce when seeing rivals wither in the hand-numbing conditions. 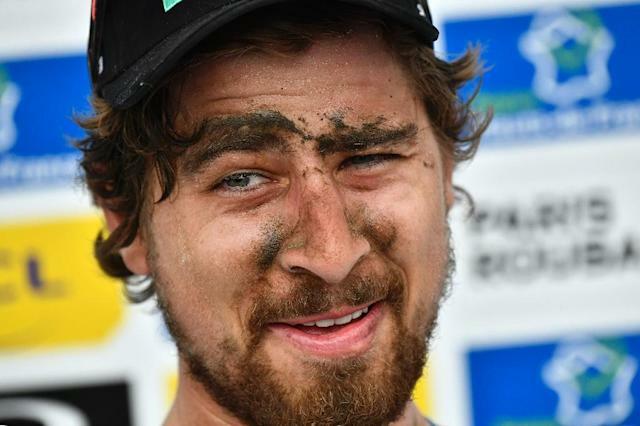 "He hasn't been on top form yet, but its coming," Sagan's sports director at Bora-Hansgrohe Jan Valach said after the Tour of Flanders last weekend. Sagan will be backed by his brother Juraj and a powerful duo of rollers in Marcus Burghardt and Daniel Oss in their seven-man outfit. As the race has been won by a Belgian 56 times in its 117 editions, 2017 champion Greg Van Avermaet cannot be counted out as the classics specialist and reigning Olympic champion is also a man on full form. "I love Paris-Roubaix," Van Avermaet declared on Thursday. "It has a special place in my career as it is the only 'Monument' I have won," he said in reference to the great one-day classics which also include Strade Bianchi, Milan-San Remo, Liege-Bastogne-Liege and the Tour of Flanders. "You cannot compare this race to any other race though," the CCC team captain insisted, pointing out the cobbled sections have a colossal impact. "Anything can happen any time you enter one of the 29 sections," he said of the old roads which are given a star rating of one to five depending on their danger and difficulty. Van Avermaet however is lacking the kind of back up a bevvy of riders in the Deceuninck-Quick Step team can count on. The Belgian outfit have dominated the classics these past two seasons. Their strength in depth means they can generally place riders in the decisive sections. This season the team send out Czech former cyclo-cross champion Zdenek Stybar as the main man after wins in the Omloop Het Nieuwsblad and the E3 Classic, but he is just part of a quartet of potential contenders Quick Step will mobilise as they follow their "best man on the day" strategy. Germany's John Degenkolb won the race in 2015 and also emerged from the epic Tour de France ninth stage from Arras to Roubaix in 2018, outsprinting Van Avermaet. "Everybody said I was done," he said at the finish line. "Well now you can see I'm not done." Many pundits also tip Norway's Alexander Kristoff, who claims to be in the form of his life and in the past month won the Gent-Wegelem and was third at the Belgian cobbled Monument the Tour of Flanders. "A fall blew his chances last season," Kristoff's boss at the UAE Emirates Joxean Matxin said on Thursday. "But given how strong our team is here we are very optimistic." Homage will be given to fallen rider Michael Goolaerts on Sunday. The 23-year-old suffered heart failure during the 2018 edition. A plinth has been erected at the 88km point where he was found stricken by the roadside.